As organizations dedicated to the public good, charitable nonprofits have a vested interest in encouraging - on a nonpartisan basis - all Americans to participate in civic life by voting. People who vote are more engaged in their communities, contributing to a more vibrant civic life. That’s why this pre-election edition of Nonprofit Advocacy Matters aims to raise awareness about what’s at stake for charitable nonprofits in the November 6 elections. It also provides resources to draw the connections between public policy and the decisions that voters get to make at the local, state, and federal levels. For additional information, see the resources available thanks to the ongoing vigilance of Ballotpedia, Governing, League of Women Voters, National Conference of State Legislatures, and Nonprofit VOTE. Earlier this month the Trump Administration announced that in its first full year in office the federal deficit grew to $779 billion, which is the largest deficit since the height of the Great Recession in 2012. The nonpartisan Congressional Budget Office pegged the loss at $826 billion. Many neutral observers blamed the deepening deficit on the revenues lost as a result of the tax cuts for corporations and the wealthy in the 2017 federal tax law. Senate Majority Leader Mitch McConnell, however, said the solution is not to revisit the tax cuts but to cut federal spending (including Medicaid, Medicare, and Social Security). Separately, President Trump instructed his Cabinet secretaries to cut five percent from their departments’ fiscal year 2020 spending requests, signaling a renewed interest in belt-tightening austerity. Should that occur, given that state governments receive on average 30.8 percent of their revenues from the federal government, it will reintroduce significant funding gaps at the state and local levels, shifting more unfunded work onto already over-burdened charitable nonprofits. Meanwhile, a New York judge heard arguments last week in the New York Attorney General’s lawsuit against the Trump Foundation for, among other things, allegedly misusing charitable assets for partisan political activities, including then-candidate Trump's campaign. This lawsuit continues to demonstrate the importance and effectiveness of federal and state laws requiring nonpartisanship by foundations and charitable nonprofits. The suit, filed under state law, accuses President Trump and his three eldest children of "persistently illegal conduct" by misusing foundation funds, such as allegedly donating to the campaign of a Florida Attorney General candidate and making politically-motivated contributions at the direction of Trump's campaign manager, rather than the foundation's board of directors. The allegations, if proved, provide powerful evidence that charitable organizations, including houses of worship and foundations, can only maintain public trust through scrupulous adherence to nonpartisanship. Challenging the Citizenship Question: The trial is set to begin next week in the multi-state lawsuit challenging the decision by U.S. Commerce Secretary Ross to add a citizenship question to the 2020 Census that experts forecast will lead to a serious undercount. This summer a federal judge found that the plaintiffs filing the suit – 18 Attorneys General, multiple local jurisdictions, and several civil rights groups – had made a “strong showing” that Secretary Ross had acted in “bad faith” by providing false explanations of his reasons to Congress. The judge in the multi-state lawsuit wrote, “The Court found reason to believe that Secretary Ross had provided false explanations of his reasons for, and the genesis of, the citizenship question — in both his decision memorandum and in testimony under oath before Congress.” See the Council of Nonprofits' webpage on the U.S. Census 2020 for more information on the upcoming census and the role of nonprofits. Revising Overtime Standards: The U.S. Department of Labor (DOL) announced that in March it plans to issue proposed regulations "to determine the appropriate salary level for exemption of executive, administrative and professional employees." At primary issue is the minimum salary level that individuals must earn to be exempt from overtime pay as an executive, administrative, or professional employee. The Obama Administration's 2016 overtime regulations - which were ultimately blocked at the last minute by a federal court - would have increased the “salary level test” from the current level of $455 per week ($23,660 per year) to $913 per week ($47,476 per year). The Trump Administration withdrew the enjoined overtime rule in 2017 and is restarting the process for revising the salary level. It is unclear whether the proposed regulations will also make changes to the duties tests and/or clarify some unanswered questions about whether certain types of nonprofit employees are properly classified as administrative, executive, or professional employees. Once issued, the proposed rules will be open for public comment. Taxes: A candidate for Massachusetts Governor is seeking to tax the endowment returns of higher education institutions by $1 billion to pay for his spending promises. A mayoral candidate in Chicago is looking for $100 million in payments in lieu of taxes (PILOTs) from nonprofits in the city as part of a $1.7 billion revenue package. The Chicago Tribune reports that the candidate “pointed to a program in Boston that had been successful in using the power of mayoral persuasion to get such nonprofits to kick in money.” Thirty-six ballot measures relating to taxes are on the ballot in 19 states. Medicaid Expansion – or Not: The midterm elections could bring sweeping changes to Medicaid, from possible expansions of eligibility to new rules requiring low-income people to work, depending on voters' choices for governors' offices and state legislatures across the country. Some rural communities may rely on Medicaid expansion as their only hope to keep certain hospitals financially viable. Four states (Idaho, Montana, Nebraska, and Utah) have ballot measures pertaining to expanding or funding for Medicaid. 2020 Census: Census data determine every data set for a decade, so inaccurate population counts can cause communities to suffer at every level as flawed data lead to funding cuts, ill-informed business-planning decisions, and improperly drawn electoral districts. In 2019, elected officials at every level will decide whether to fund special census count efforts for 2020 and establish complete count committees/commissions intended to ensure a full, fair, and accurate count of every resident. Thirty-six governorships and more than 6,000 legislative seats in 46 states are up for grabs on November 6. At the local level, mayors, city council members, district attorneys, and judges make critical decisions within their hometowns that affect how nonprofits are able to perform services, fundraise, and affect policies. Chief executives are on the ballots from Austin to Anchorage, Buffalo to Bakersfield, Chula Vista to Chesapeake, and so on this year. Nearly half of the 100 largest cities (by population) across the country will hold elections with 27 mayoral offices being on the ticket. Thirty-three states and Washington DC will be holding elections for county, city, and school district commissions, councils, and boards, and various other positions, such as district and city attorneys, sheriffs, and judgeships. Races for Attorney General often go overlooked, but their effect on nonprofits and foundations should not be underestimated. This year 30 offices are on the ballot out of the 43 states that directly elect the official. As the “chief legal advisor and chief law enforcement officer of the state,” according to Ballotpedia, the official sets enforcement priorities, defends and prosecutes litigation on behalf of the state, and often provides legal advice to the executive and legislative branches. Often, the Attorney General is responsible for overseeing charitable organizations, whether directly by state statute or under common law authority to prevent the misuse of charitable assets. On Election Day, voters in 46 states will choose who will serve in their legislatures. Four states —Louisiana, Mississippi, New Jersey, and Virginia — hold their legislative elections in odd-numbered years. Also, Senators in Kansas, Minnesota, New Mexico, and South Carolina serve four-year terms that run through 2020, and thus are not on ballots this year. Those elected will be called to make decisions in 2019 on multiple tax reforms (income, property, and sales), how to spend more than $1.5 trillion in public funds, and what steps to take to begin the decennial redistricting process that is based on the results of the 2020 census. Each of these decisions could significantly affect the work of charitable nonprofits, for better and for worse. Voters from Alaska to Florida and everywhere in between will consider 154 ballot measures ranging from elections to taxes and operational issues. The outcome of the votes could ultimately impact the work, voice, and resources of charitable nonprofits and foundations in the various states. Election-related issues lead the list of ballot topics this year with 21 measures in 20 states dealing with redistricting, voting, and access. Voters in Missouri, North Dakota, and South Dakota will decide whether to amend their constitutions to revamp existing state campaign finance, lobbying, and ethics requirements. The campaign contribution limit would be raised if a candidate provides $1 million or more in self-funding under Amendment 75 in Colorado. In Florida, a proposed constitutional amendment could require counties to hold public elections for certain municipal positions, including tax collectors and property appraisers, potentially turning basic administrative decisions about tax exemptions into politically charged issues. Michigan and Utah voters will consider whether to create an independent redistricting commission to draw district maps, removing the power from legislators. The North Carolina Governor could lose authority to appoint members of the state board overseeing elections and ethics, allowing for more party deadlock rather than productivity under a proposed constitutional amendment. North Carolina voters will also consider what’s been called an “impossible to comprehend” measure on how to fill judicial vacancies, potentially politicizing the bench even more. Taxes are also high on the list of ballot measures in 2018. Colorado voters are being asked to increase sales and use taxes on various commodities and goods as well as increase individual income, corporate, and estate tax rates. These measures are significant because the legislature is effectively prevented from increasing revenues due to the voter-approved Taxpayer Bill of Rights (TABOR). Similarly, Florida voters could impose a requirement of at least two-thirds approval by each legislative chamber before any new tax or fee or increase to existing ones could be effective. Arizona voters will consider placing a constitutional restriction on new or increases to any fee, assessment, or tax on any service by the state or any locality. The North Carolina Legislature added to the ballot a proposed constitutional amendment to limit the state income tax rate to seven percent (down from ten percent). The North Carolina Center for Nonprofits opposes the measure due to concerns for revenue shortfalls and cuts to state grants and contracts with nonprofits. Finally, a Georgia voter referendum would clarify that the existing exemption from ad valorem taxation for nonprofit homes for mentally disabled persons applies even when financing for construction or renovation of homes is provided by a for-profit corporation or other entity. November's Most Important Ballot Measures, Governing, October 3, 2018, providing commentary and a recap of the 154 ballot measures in 38 states. All of the above information can be daunting, but nonprofits have stepped up to make sense of it for each registered voter in America. For example, The League of Women Voters' Vote 411 tool provides up-to-date information on polling locations and local ballots. Just enter your location information and see everything relevant to the elections in your area. Similarly, the Ballot Ready tool is used to create a personalized, interactive ballot based on your voting location that will inform you of the issues and candidates you will be voting on. Colorado Nonprofit Association sent questions related to the nonprofit sector to the major party candidates in Colorado’s 2018 governor’s race. Questions included “How will you involve nonprofits in your administration?”, “What specific state public policies do you think are most important to support a flourishing nonprofit operating environment?”, and “When speaking to a room full of nonprofit professionals, what would you say?” The responses from the two gubernatorial candidates show promise for nonprofits under either new administration. Candidate Polis stated, “Colorado has one of the strongest nonprofit communities in the country, and accordingly our communities benefit greatly from the hard work that the nonprofit sector puts forward. That’s why, as governor, I will work to promote and protect your ability to continue the services that you provide to our communities.” Candidate Stapleton answered the association’s questions this way: “I would say that now more than ever, our state needs you and the critical work you do for the people of Colorado. I will be a partner with the nonprofit sector to get government out of the way when necessary, or to provide input and or funding when appropriate.” Both stressed their desires to work on public policies that will forge stronger relationships between the sectors. 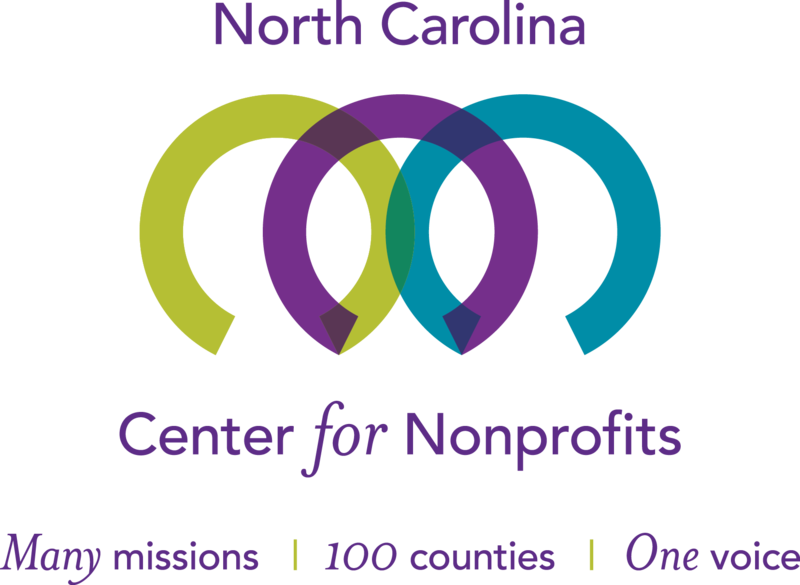 The North Carolina Center for Nonprofits also “invited every candidate running for statewide office in the 2018 November election to share their insights on questions of interest to nonprofits across the state.” Moreover, the Center encouraged their weekly public policy newsletter readers to share the survey with the candidates in their areas, as well as read the responses to make informed choices. Each response is publicly available on the Center’s website. The questionnaire responses indicated many candidates have been volunteers, board members, and donors of local nonprofits. Most responded that they “support” or “strongly support” preserving or expanding tax exemption for charitable nonprofits and encouraging individuals and businesses to give generously to nonprofits serving their communities. Finally, the Wyoming Nonprofit Network shared with its members the answers of candidates to a questionnaire it sent to the state’s gubernatorial candidates. All four candidates responded with descriptions of their past experiences with nonprofits as board members, volunteers, or supporters, and how those experiences shaped their perspectives on the role of nonprofits. Among many other comments, they stated that nonprofits “help meet the unique needs of our town and counties,” “provide significant value to communities,” “help people who are down on their luck,” and “reduce the demand on government funds and time.” Each answered “Yes” when asked whether he or she would make nonprofits a priority, consult nonprofit leaders, and encourage cross-sector partnerships to leverage resources, setting up nonprofits in Wyoming (the “Equality State”) for future opportunities with the chief executive office. The bottom-line for everyone? Vote! ~ President Lyndon B. Johnson, quoted in GoodReads/voting. ~ Columnist and speech writer Peggy Noonan, Patriotic Grace: What It Is and Why We Need It Now (2008). ~ Political analyst Larry J. Sabato, Pendulum Swing (2011). ~ Opening response of candidate for public office to the Maine Association of Nonprofits candidate questionnaire, October 2018. The candidate listed engagement with a wide variety of nonprofits and stated, “The relationships I have built with these groups help inform my opinions” from “studying the implications of tax reform on the nonprofit sector to advocating for funding for agencies like the National Endowment for the Arts or programs like the Community Development Block Grant.” Read more about candidate responses to nonprofit questionnaires in Advocacy in Action. Vote With Your Mission is a long-running program of CalNonprofits that first asks the question: Why should our nonprofit invest our time in helping our employees, community members and volunteers to vote? Answer: Nonprofit voter engagement is a powerful way for nonprofits to “stand up” for their communities during this chaotic time. Why are nonprofits so effective at nonpartisan voter engagement? 1) We’re committed, 2) We’re present in communities, and 3) We’re trusted. Who Pays? A Distributional Analysis of the Tax Systems in All 50 States, Institute for Taxation and Economic Policy (ITEP), October 2018, assessing “tax fairness by measuring effective state and local tax rates paid by all income groups” and providing state-by-state analyses. Working in Coalitions to Defend Religious Liberty (3:45), Baptist Joint Committee, October 10, 2018, demonstrating the power and effectiveness of coalitions made up of groups with multiple perspectives. Number of legislative races in 46 states that voters will decide on Tuesday, Nov. 6. Source: Pre-Election Analysis of State Legislative Races, National Conference of State Legislatures. Writing in State Legislatures, the magazine of NCSL, Tim Storey and Wendy Underhill observe that less than 20 percent of voters can name even a single state legislator, a fact that the writers suggest means that state elections invariably reflect national politics.